Banksia is a particularly porous material and will soak up your essential oil and fragrance your room for weeks, and can be refilled to keep your space smelling beautiful. 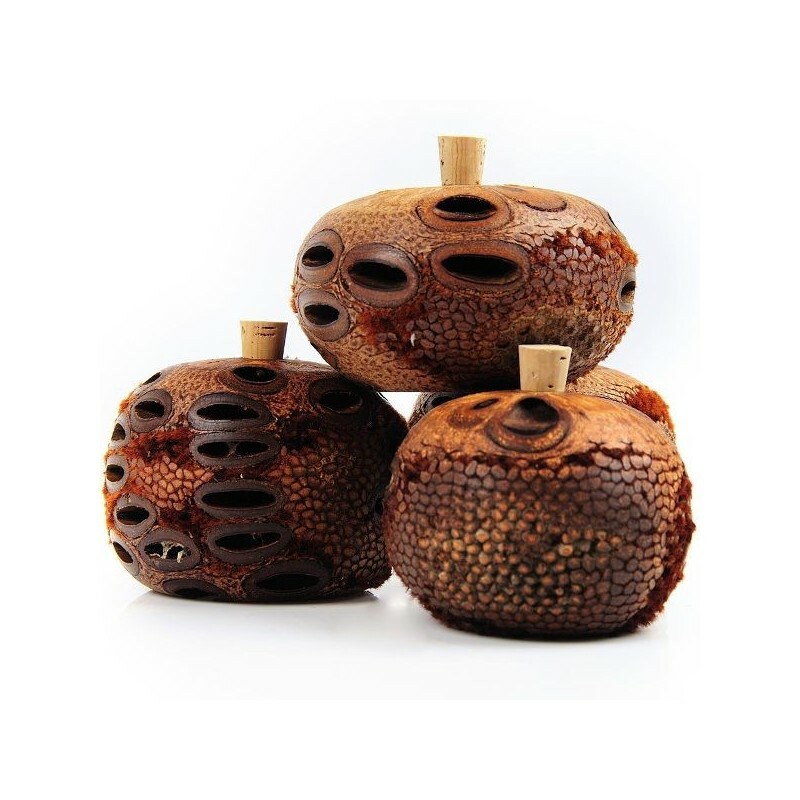 As beautiful as they are functional, these all natural, hand-made Banksia aroma pods are crafted from the iconic and uniquely Australian Banksia seed pod. They are a great natural freshener for any space and can be filled with 3-4 drops of any pure essential oil. When this first arrived it smelled a lot like eucalyptus but it was amazing how quickly it absorbed the lavender oil I put in it. It works much better than oil diffusers and it's safe to have around kids. I was always a little bit afraid of the Banksia Men in the Cuddlepot and Snugglepie stories.....but these Banksia Pods are just wonderful.....I have trouble sleeping and I've got Lavender and Frankincense oils in mine beside the bed and it just releases the aromas beautifully. It's so easy to use just a few drops of whichever oils you want and it does the rest.....releasing just the gentlest aroma you could wish for. I can see me getting them for other rooms too. These would also make great presents.